An advanced race of reptilian humanoids, tribes of Homo Reptilia were the dominant life-form on Earth before the evolution of humanity. When a large object appeared in the sky the Silurians retreated underground or escaped Earth in an Ark (the object harmlessly entered Earth’s orbit as the Moon). The Doctor has encountered three tribes of Silurians whose hibernation had been disturbed by human activity. Whilst honourable warriors, they often found co-habitation with humanity impossible, due to war-like factions on both sides. In 2367, the Eleventh Doctor found the remains of a Silurian space Ark, which - after a pirate trader called Solomon had murdered the Silurians aboard - contained only dinosaurs. The dinosaurs were settled on a new world, named Siluria. 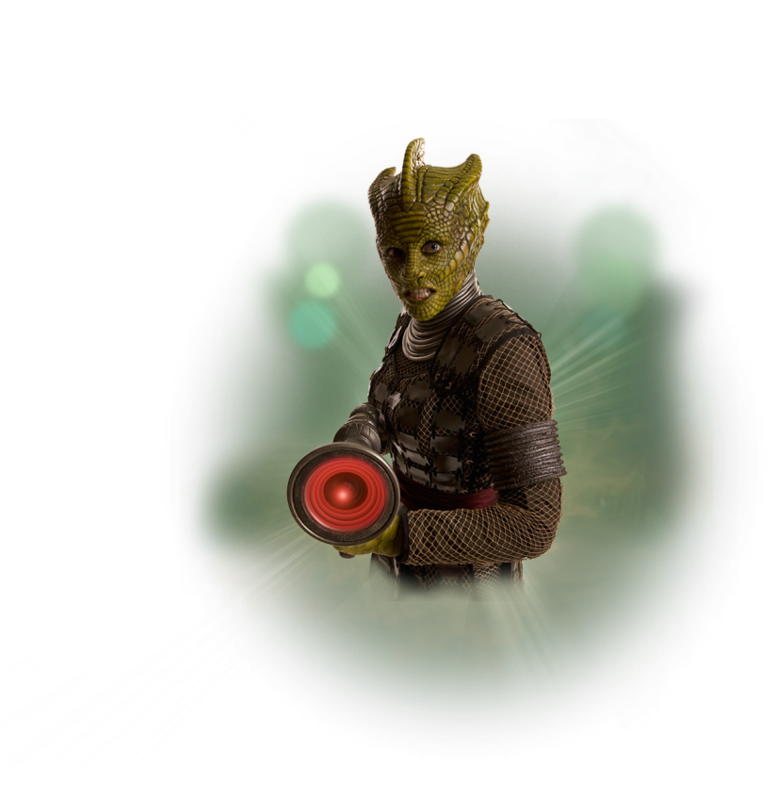 Watch this video below to learn more about the Silurians!